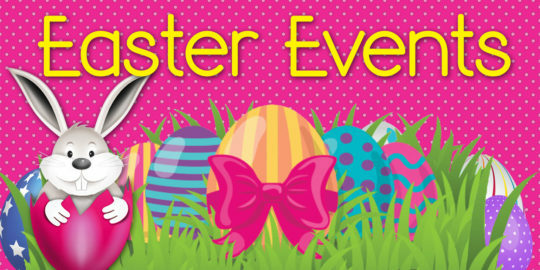 For complete list go to Easter Events Cottontails Easter Egg Trail 31 Produce & Mining Co., 18672 State Road 31, Alva Saturday, April 13 • 10 a.m. We will be using the entire property and spreading eggs out very 30 min from 10-12 so no need to rush to be the first ones here.. No age group areas since this will be spread over acres of our farm, but. So many fun events for families in April! Too many to mention in one post! Stop by the website to get the full list! Disney’s The Lion King Barbara B Mann Performing Arts Hall 13350 FSW Pkwy, Fort Myers April 3 – 21 239-481-4849 Miracle Opening Night & Fireworks Hammond Stadium, 14100 Six Mile Cypress Rd., Fort Myers April 4 – 5 • 6:30 p.m. Celebrate the beginning of the. So many family friendly events in February!!! Something for everyone! Parades, Festivals & Fairs! Free Movie in the Park – Smallfoot Wa-Ke Hatchee Community Park, 16760 Bass Road, Fort Myers Saturday, Feb. 9 • Movie begins at 6:30 p.m. The PG-rated animated comedy adventure “Smallfoot” will be the main feature. The animated movie offers a spin on the Bigfoot phenomenon. “Smallfoot” focuses on a yeti who is convinced that the. A NEW Year with all kinds of fun events!!! Elephant & Piggie Party Northwest Regional Library 519 Chiquita Blvd. N., Cape Coral Thursday, January 10 • 10:30 a.m. You are invited to an Elephant and Piggie party. Celebrate with fun games, silly activities and awesome crafts. Elephant & Piggie themselves will even stop by to say hello. 239-479-4636 St. Andrew Festival St. Andrew Catholic Parish/School 1509 SE 27th Street, Cape. Looking ahead to December!! The holiday season will begin with a bang!!!! So many family friendly choices on December 1st!!! Santa Visits Shell Factory Shell Factory And Nature Park, 2787 North Tamiami Trail, North Fort Myers Dec. 1, 2 and 8, 15 – 16, 22 – 23 at 10 a.m. Shell Factory & Nature Park offers unique, outdoor family fun with over 400 animals, petting zoo, Soaring Eagle Zip Line,. November is here!!! So many kid-friendly events!! Fall festivals, carnivals shows and more! Cape Coral Fire Department 9th Annual Open House Various locations-Cape Coral Fire Department in Cape Coral Saturday, November 3 • 9 a.m. – noon Join us at any of Cape Coral’s ten fire stations for the opportunity to tour the station, meet firefighters, and learn about the fire apparatus and equipment. There will also be fire. Check out some fun and exciting kid-friendly events around the area!!! Scream on the Green Copperhead Golf Club in Lehigh Acres October 18-20, 26 27 as well as on Halloween Night October 31st Scream on the Green will be open nightly from 7 to 10 p.m. The event cost is only $3 per person. You can save $1 when you bring a canned food item that will be donated to. Many Fall-Halloween activities in October!! For a complete list go to Family News website Boo Bash IMAG Science & History Center 2000 Cranford Ave., Fort Myers Saturday, Oct. 6 • 11 a.m. – 2 p.m. Flaming, exploding pumpkins, bubbling cauldrons and fiery green tornadoes will be featured in the science show. Children in costume will be able to trick or treat with the IMAG staff. Costume-making for those who forgot. Mad. Happy National Clown Week North Fort Myers Rec. Center, 2000 North Recreation Way Saturday, August 4 • 2 p.m. Help members of Caloosa Clown Alley #97 celebrate National Clown Week. Fun and laughter promised. All welcome. 239-479-4636 Miracle Backpack Giveaway Hammond Stadium 14100 6 Mile Cypress Pkwy, Fort Myers Saturday, August 4 • 6 p.m. First 500 kids 12 and under get a FREE Miracle backpack for the upcoming school.